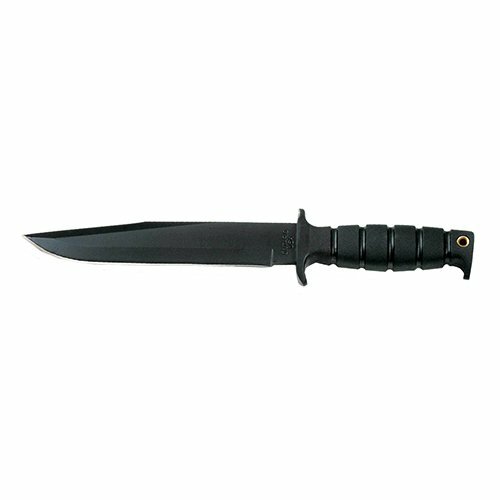 The spec plus products are a diverse mix of top-selling, classic and innovative knife and tool patterns designed for military, sporting, and first responder purposes. Each knife in the spec plus Series features a comfortable Kraton handle, epoxy textured powder coated high carbon steel blade, full tang construction, and a tactical sheath. If you have any questions about this product by Ontario Knife Co, contact us by completing and submitting the form below. If you are looking for a specif part number, please include it with your message. Timber Wolf Appalachian Ivory Bowie/Fixed Blade Knife - Stainless Steel - Natural Genuine Bone - Red, Black Pakkawood - Genuine Leather Sheath - Outdoors Display Hunting Camping Collecting - 9 3/4"